At age 19, Aldonna Purba was already an employee at one of the largest water suppliers in the capital of Indonesia. 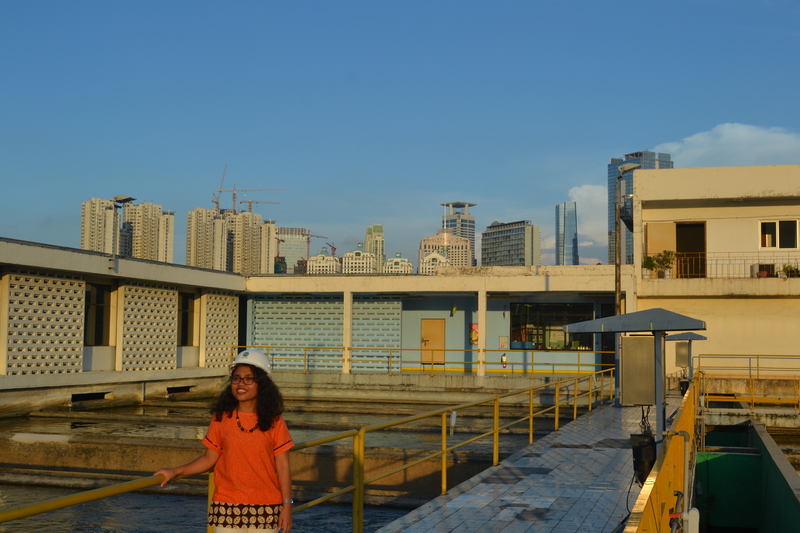 As a microbiology laboratory analyst at Jakarta Water Supply Concessionaire, Aldonna became interested in water treatment and wanted to learn more about the field. When she learned about the Community College Initiative (CCI) Program, she asked to leave work for the 11-month program period to hone her skills within her field and, upon being accepted, left for her year abroad. After hearing about Aldonna’s interests, one of her professors took her to the Aurora Water Treatment Plant, a huge plant “with technology we rarely have in Indonesia.” This excursion inspired Aldonna to seek out other trips to water plants through her other classes, and to look outside the classroom for inspiration as well. During her CCI exchange year, Aldonna also took the initiative to pursue workshops and professional development opportunities within her U.S. host community. This led her to participate in a workshop water environment event in Chicago where she met experts in field of water treatment, participated in a volunteering effort to build a rain garden a local elementary school, and snagged an internship in a wastewater laboratory to assist with lab analysis. Aldonna also used the volunteering component of the CCI Program as an opportunity to gain more hands-on experience about her field. She became a volunteer at an environmental consultant organization that provides educational programs for DuPage County in the state of Illinois. There Aldonna worked to inspire local people to care more about the earth through eco-friendly projects. When she returned to Indonesia, she continued to capitalize on the resources available to her. In addition to taking on new responsibilities at her job, Aldonna is pursuing a bachelor’s degree in environmental engineering and has been involved in conferences and communities dedicated to environmental outreach. By participating in conferences held by the United Nations University and AMINEF (American Indonesian Exchange Foundation), she gained connections with researchers and NGOs in the environmental sector. To continue to build her network, she has reached out to global and local community platforms. Ultimately Aldonna hopes to inspire young people in her community to care for their environment and hopes that her story will inspire them to “go for it” like she did.